6LACK is definitely hot property at the moment. He’s collaborated with the likes of Normani, Rita Ora and Bea Miller previously, and now he adds Jessie Reyez to the list. The Canadian talent tapps Atlanta’s R&B crooner for brand new cut “Imported” – and it comes with a video too. A beautiful duet over the winding, slow-burning, Hennedub-produced track, He tries to offer Reyez some help to take her mind off loving someone else. “We can skip the wine and dine / Go straight for the wind and grind.” Such different vocal styles yet together they create such passion and romantic tension, which pours over to the video. Zac Facts directed the video, with the two posing as estranged lovers going on about their day while they are on each other’s minds. 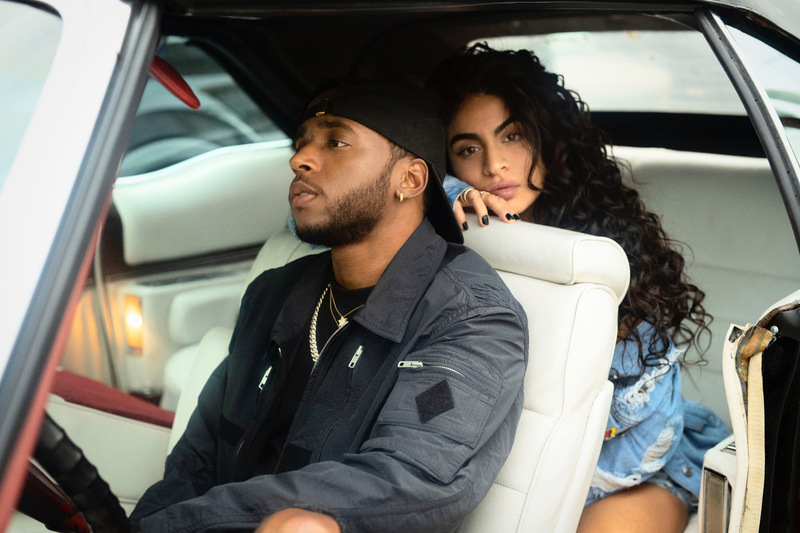 Reyez tries to console herself while splashing in a bathtub and 6LACK is taking a long trip to ponder and get his mind straight. The tension builds and it looks like the pair might be reuniting by the end. This new release comes as a fresh new remix, with the original track found her 2018 EP Being Human In Public, which initially featured JRM. Reyez also premiered the remix on Zane Lowe‘s Beats 1 Radio show the day prior. Released in October, Being Human In Public also featured a “Body Count” remix with Kehlani and Normani.